There has been a significant drop in the number of civil cases that have ended up in the courts over the last few years. These days, claims for compensation are more often being mediated privately rather than being heard by a judge. Mediation has become a popular alternative to resolve claims largely because institutional child abuse cases are charged with emotion and exposing abuse survivors to the rigid adversarial rules of courtrooms and judges can open old wounds. No apologies from the other side. Lawyers primed for a legal fight. Denials and technical legal points used against you. Trouble with lost records, deceased witnesses and faded memories. Paid psychiatrists that may say there is nothing wrong with you. A judge who may not believe you. Exclusion from the decision making process. A final decision you may not be happy with. The possibility of paying the other side’s legal costs, plus your own. Potential devastating consequences for you such as bankruptcy. On the other hand, mediation offers a lot of flexibility and empowers you to play a major role in the outcome. Receive a private face-to-face apology, plus a letter signed by a senior representative. Be believed and respected by all parties. Prevent lost records or lack of corroborating witnesses from derailing your claim. Take part with your lawyers in the negotiation of a fair financial settlement. 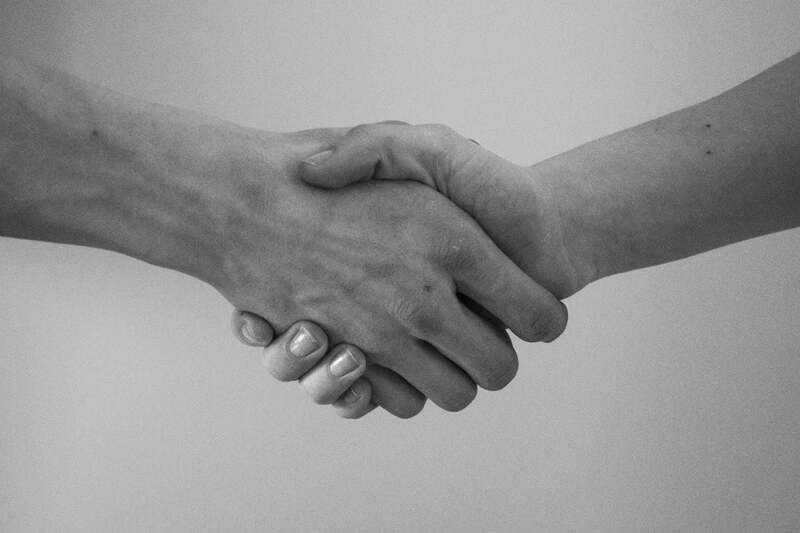 Receive help from a skilled mediator who is there to bring both sides together in agreement. Know that opposing legal teams are coming to a mediation to make an agreement rather than to fight. Be confident there is no judge there to force you into an outcome you don’t want. Know that the mediation is ‘your day’ which is all about you and your own personal breakthrough. Keep the matter private and out of a public courtroom. Benefit from flexible procedures to work around your physical and mental health needs. Resolve your claim in far less time than litigation. Pay lower legal fees than if you take your claim to court. 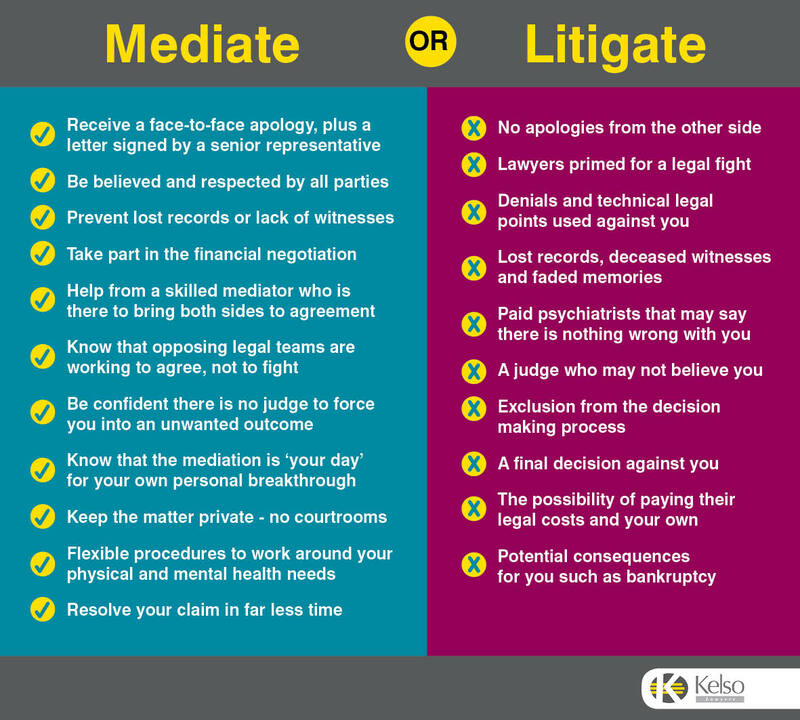 At Kelso Lawyers, we like all our clients to try mediation first. It is the best and least stressful way to settle claims against institutions such as state governments and most churches. If you believe that you may be eligible for compensation, please complete our Claimant Information Sheet or call us to discuss your matter in confidence.